…somewhat cruelly by reporting that the recumbent is off the road. 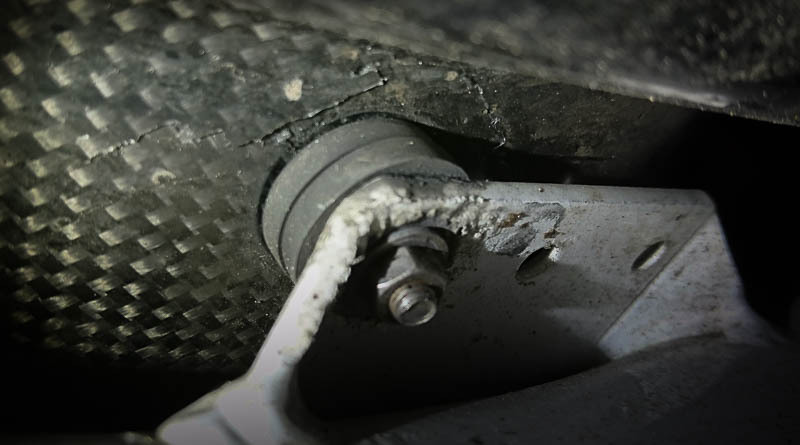 This had the unfortunate effect of punching the supporting bracket for the MetaBike’s seat up through the carbon fibre, resulting in the two circular cracks you can see at the top of the page. 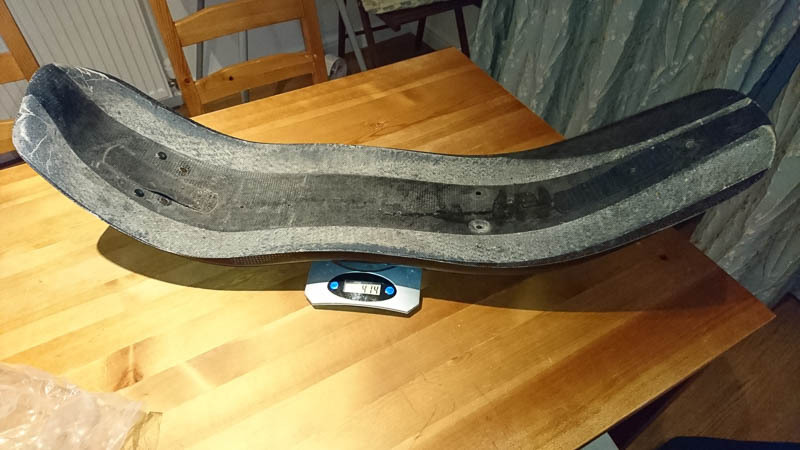 Given carbon fibre’s failure mode being a sudden state change from solid to cloud-of-razor-sharp-splinters, I’m electing not to ride the thing until a new seat arrives. Anyway, more useful posts to follow on the B&M IQ-X dynamo headlight (good, with some flaws) and the brand new Blaze Burner rear light (also good, but with some more severe flaws). PS: if you got a spare few minutes, check out this interview with Barbara Murray, who competed in the Strathpuffer endurance mountain-bike race whilst stopping to breastfeed her three-month-old baby between laps. Hats off… Also thumbs up to the Strathpuffer organisational folk who sorted out a heated room to make that a little more straightforward.